The Prolinnova-Ethiopia coordinator, Ms Beza Kifle, compiled a report on the activities of the Country Platform within the Proli-FaNS (Promoting local innovation in Food and Nutrition Security) project covering the period August-November 2018. The report can be found here. Prolinnova-Ethiopia (PE) is one of the five Country Platforms (CPs) that is involved in on-the-ground activities in Promoting local innovation in Food and Nutrition Security (Proli-FaNS). The CP coordinator Ms Beza Kifle reports here on the PE activities and achievements in Year 2 of this project. The new coordinator of Prolinnova-Ethiopia, Ms Beza Kifle, started work in May 2018. Her first report on the activities of the Country Platform in the Proli-FaNS (Promoting local innovation in Food and Nutrition Security) project for the period May-July 2018 can be found here. Prolinnova–Ethiopia is a national platform to create space and provide a conducive environment for recognising and enriching local innovation processes in agriculture and natural resource management (NRM). 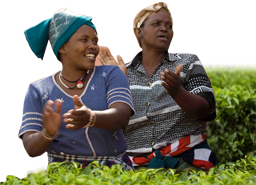 It aims to scale up and integrate Participatory Innovation Development (PID) approaches in governmental and non-governmental organisations concerned with agricultural and NRM research, extension, education and training. 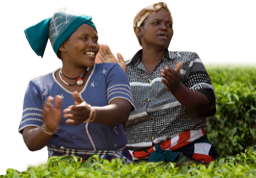 Its overall objective is to contribute to enhancing food security, safeguarding the environment and improving rural and urban livelihoods based on sustainable use of natural resources.